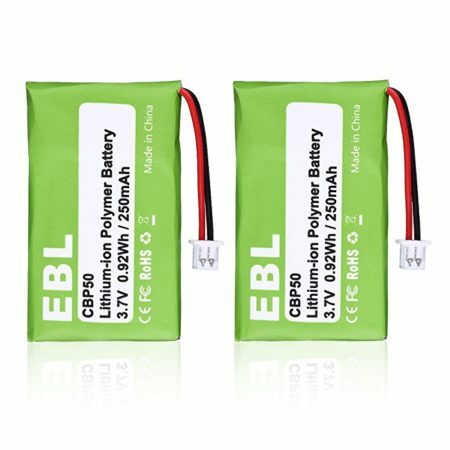 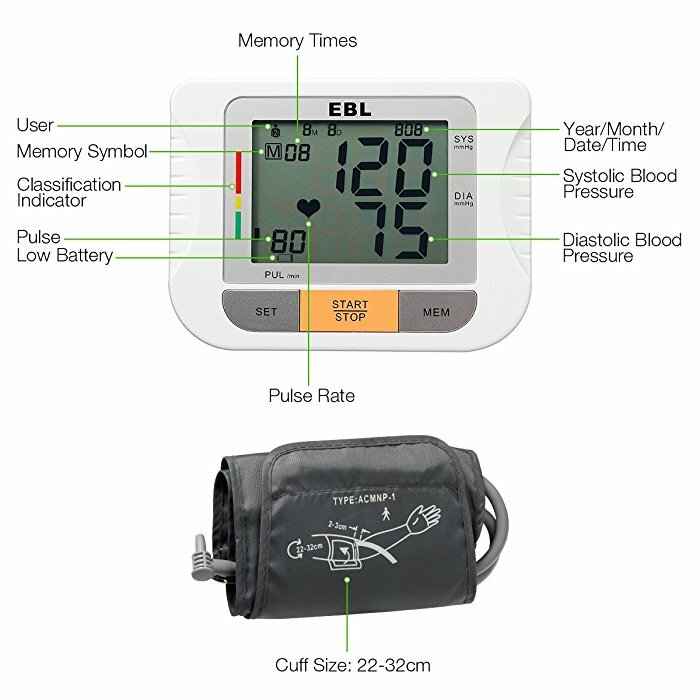 Large Screen Display: This EBL blood pressure monitor is built with a large LCD screen clearly showing you all measurements. 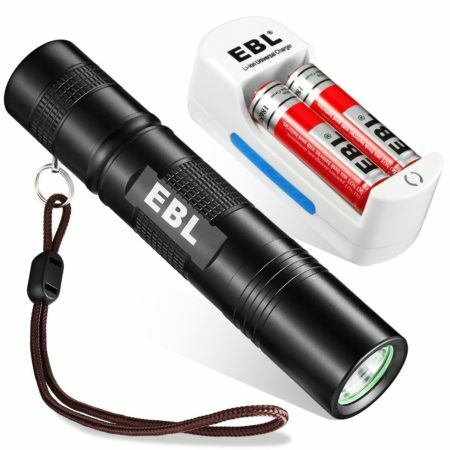 The blood pressure monitor is powered by 4 pieces of AA batteries( not inlcuded). 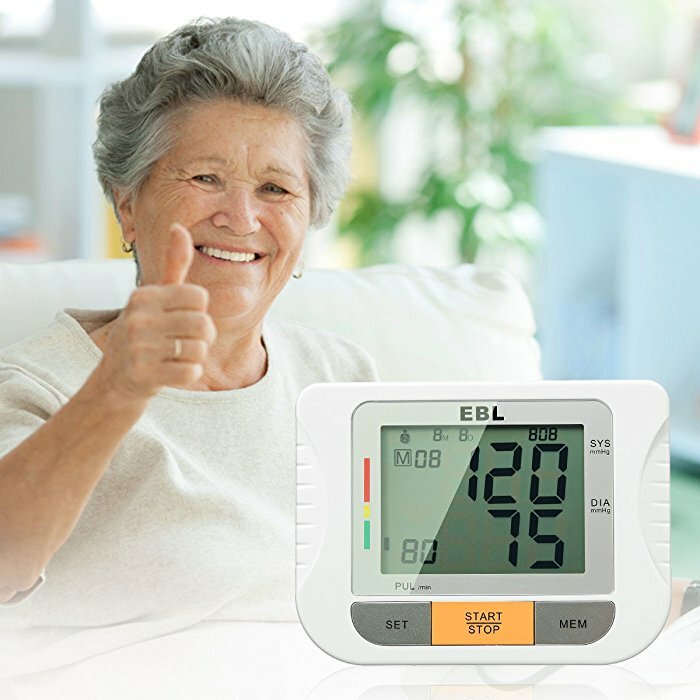 Comfortable Arm Cuff: You can enjoy comfortable measurement with the arm cuff that’s easy to wrap with velcro fasteners. 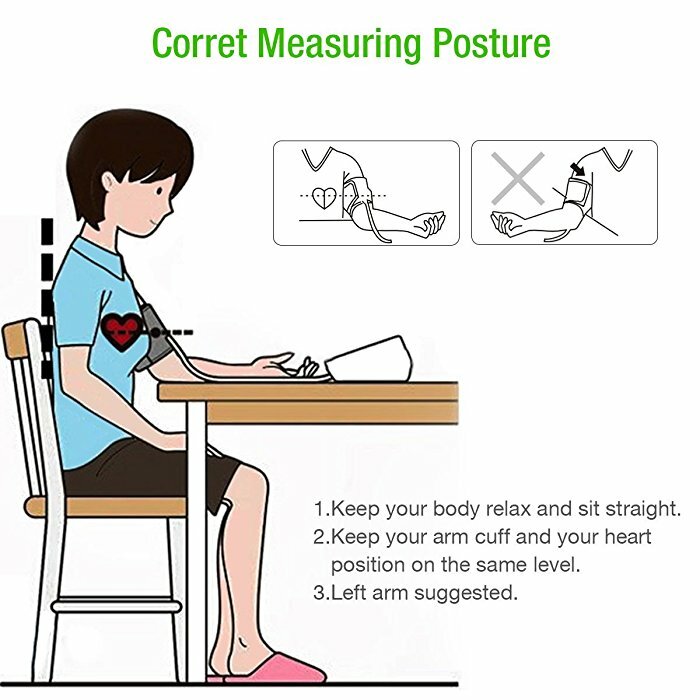 The arm cuff fits almost all adult’s arm sizes, from 8.6 to 12.6 inches. 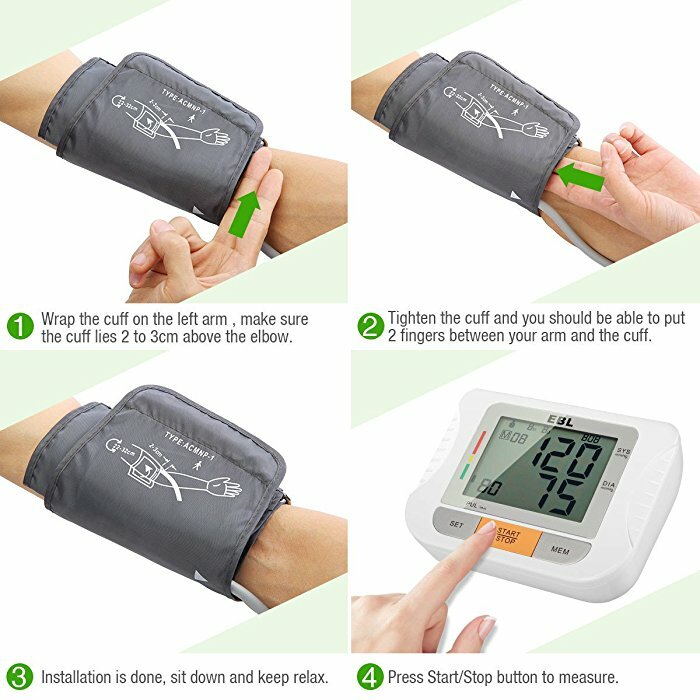 Accessible Operation: The blood pressure monitor is easy to read and operate, wrap your arm, and press start to measure your blood pressure. 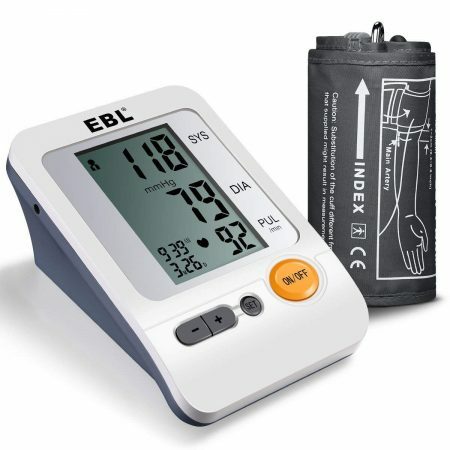 EBL blood pressure monitor is fully tested to offer you certified accuracy in measurement results. 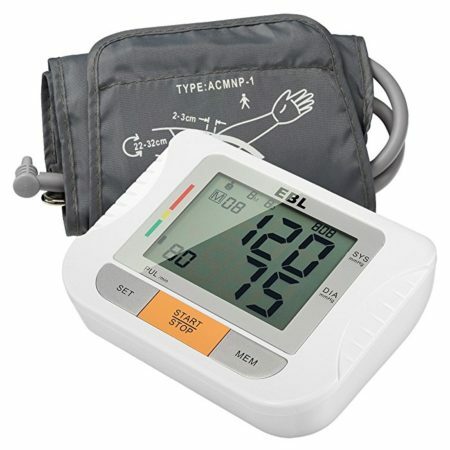 The blood pressure monitor has Memory 2*90 Function – For Two Users to Review Record. 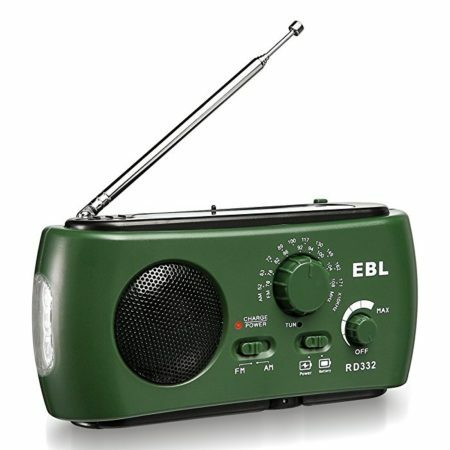 Each user’s measurement result will be displayed on the screen, and will be automatically saved. 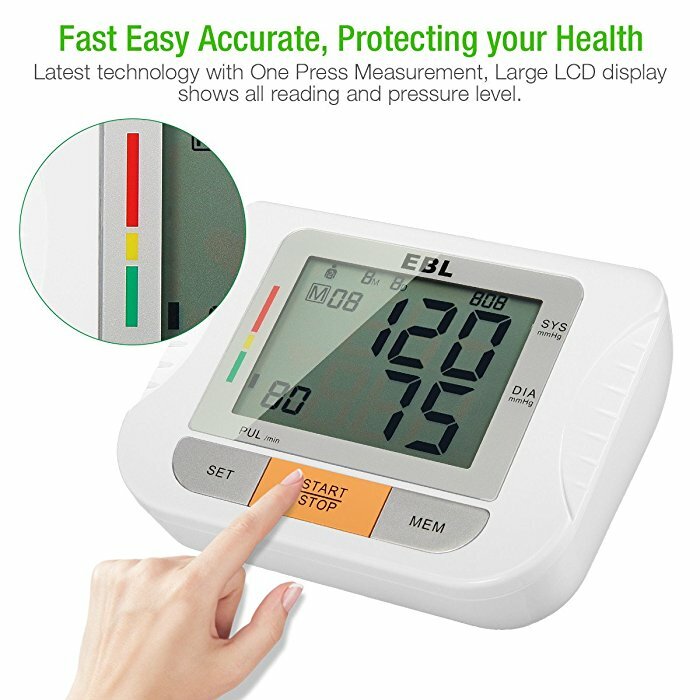 This unit has blood classification index for your reference to check your blood pressure.